To celebrate the launch of our new Local Delivery service, we are offering free delivery on all Local Delivery orders placed before 18th April. To place your order call 01304 619858 or email info@thechaistop.co.uk quoting ‘Easter’ to claim your free delivery. Enjoy a curry with friends and family, or as your weekly treat. Check out our Curry Club National Delivery boxes, perfect as a gift for a birthday, someone moving house or going off to university. 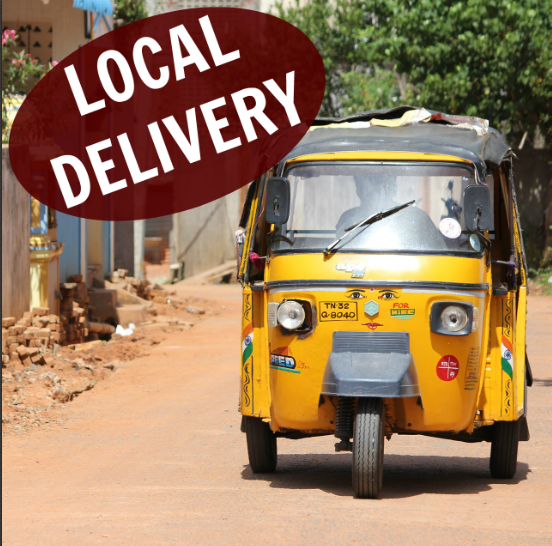 For more information on delivery areas and days, hop over to our Curry Club page for full details. The Chai Stop – Handmade, wheat and gluten free, no artificial colours, flavours, preservatives or thickeners.